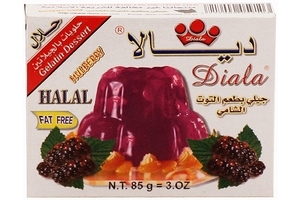 Dalia Gelatine Dessert Mix 3.5oz (100g) pack. Fat Free. Product of Syria. Halal Certified حلال . You may check similar products below or if you would like to know the future availablity of this product, please contact us here.